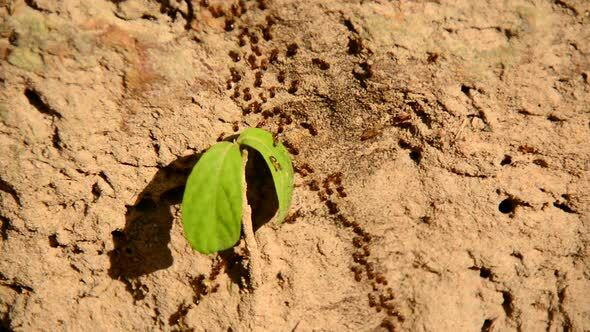 Busy Ants on the Move in Cambodia. 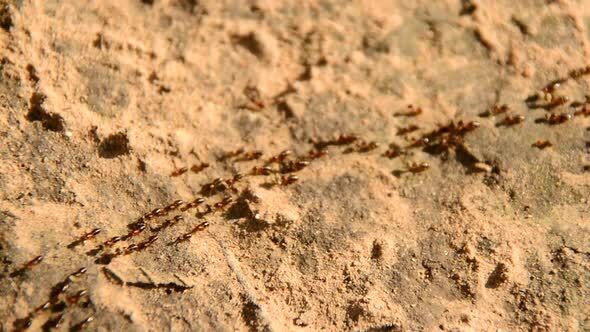 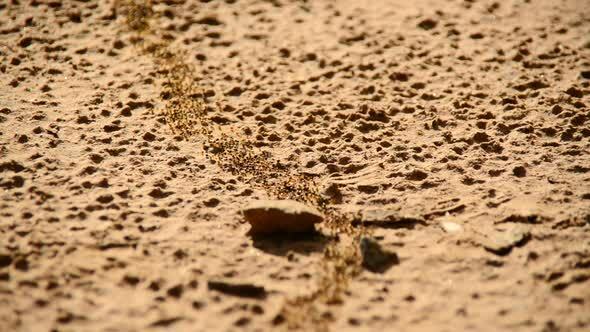 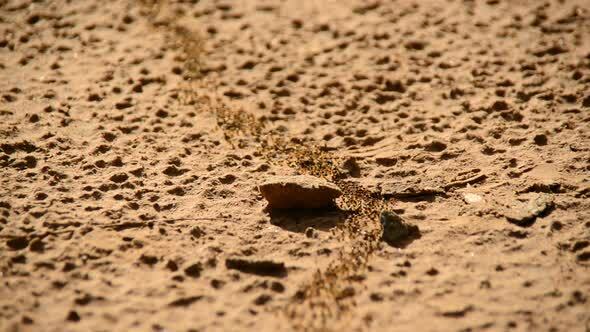 Close up shot of Bull Ants leaving and entering their nest. 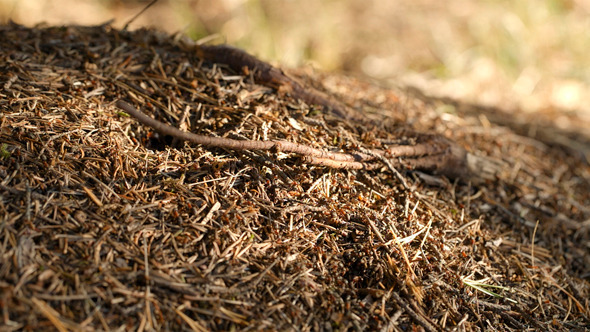 Shot in Full HD 1080p. 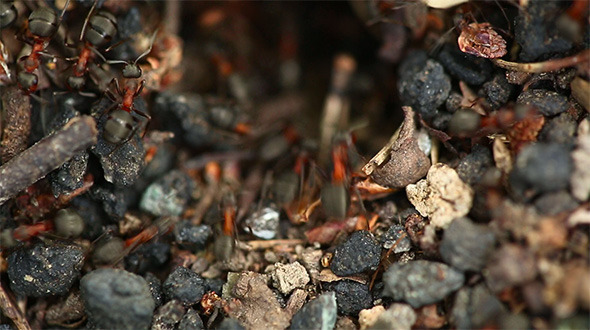 Can be used for documentaries, short films, school projects or any other video presentations. 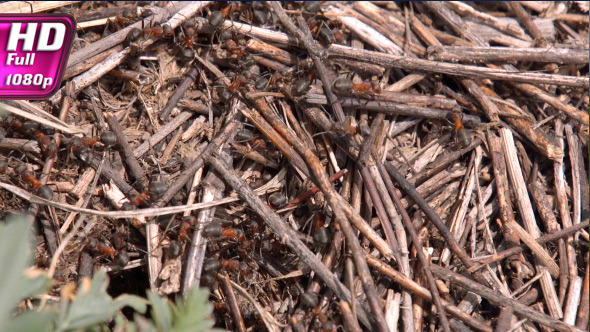 Big colony of ants working hard on the ant hill. 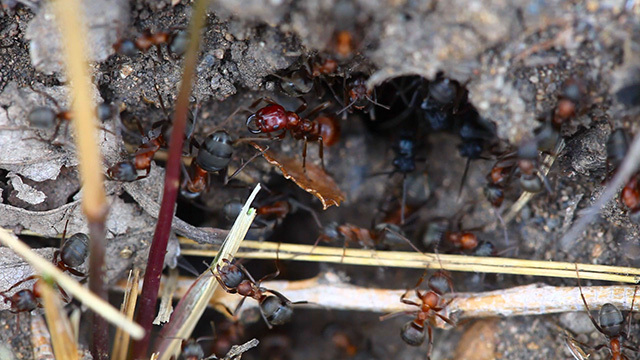 Organization and teamwork in wildlife. 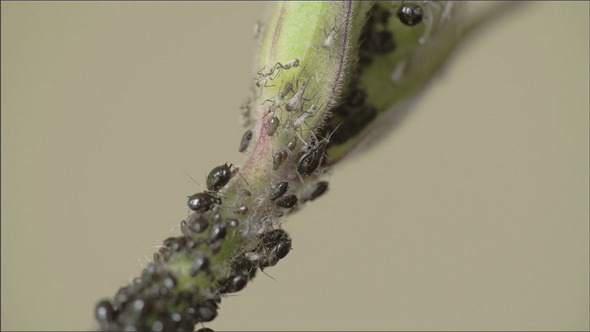 Macro shot.